We applaud entrepreneurs that have an idea, take a risk and strike it big. It’s the American way. So some may ask, why does government and the larger educational community look skeptically at a for-profit entity that is operating a school or college? Why can’t for-profits operate effectively in public sector arenas such as education? I spent a good part of my career in the New York State Education Department regulating for-profit schools and colleges. This includes trade and business schools and for-profit colleges. I learned from experience not to characterize all for-profit ventures in education as bad. In New York there are some truly amazing for-profit schools and colleges that really work hard to bring educational opportunities to underserved communities. There are also for-profit schools that severely hurt students by leaving them in overwhelming debt with no marketable skills. When you walk into a for-profit school or college, it isn’t obvious that this institution is designed to make money for some person or corporation. Because a core American value is that education is a public good, Americans assume that schools and colleges exist to benefit them as opposed to making some person or persons wealthy. Americans regard schools as safe institutions, places they can trust. When a for-profit institution opens its doors, it inherits this public trust. Yet sometimes that trust is not warranted. Many years ago I was on the 7th avenue subway in NYC and viewed an ad for a for-profit college. It depicted two young ladies in a convertible with their hands extended in the air and a look of bliss on their faces. The message was clear: “Easy street is yours if you enroll in our college.” We eventually closed that college for massive violations and fraud. Fraudulent messages often target students who have not been successful in their P-12 education and are looking for a surefire way to get ahead in life. There are no short cuts. If individuals are going to make decisions that impact the rest of their lives, shouldn’t they be based on factual information and not hyperbole or promises that can’t be kept? If you are a for-profit educational institution, you need people to want to attend and spend their money. But whose money are students spending? The reality is that a good segment of the for-profit industry is focused on serving poor people who qualify for federal and state grants and loans. Will students be informed consumers if they are not taking money out of their own pockets to enroll in a school or college? Some for-profit institutions will try to inform students of their obligations to pay back any loans. 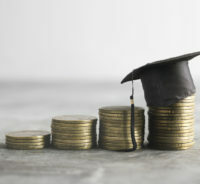 Others will take advantage of students’ lack of awareness and commit thousands of students to long term debt, loan default and miserable credit ratings. With billions of state and federal funds committed to student grants and loans, the appropriate use of those funds affects all of us. As taxpayers, we have a vested interest in ensuring that this money is well spent. Some for-profit schools promise students an education that will land the student high paying jobs. The reality is that many employers do not see these degrees as providing the necessary knowledge and skills for the jobs students are seeking. More insidiously, some schools take students’ money and barely teach anything at all. When I sent educators into a for-profit school for a monitoring visit, I told them to focus on the educational objectives for the course, students’ work and how it was graded. The sad reality is that many students entering these schools or colleges are underprepared. Often, the instructor “teaches down” to the skill level of the students in the class, a tactic that keeps students enrolled and tuition revenue flowing. This is deceptive and unconscionable. If an educational institution is receiving most of its revenue from public funds, it must be accountable to the public for its student outcomes. Whether for-profit, nonprofit, or public, the institution must ensure that career skills or degrees earned are real and conform to acceptable education standards. So, is for-profit education an oxymoron? I will leave it up to the reader to decide. But experience has shown me that reasonable regulations protect, rather than stifle, our American way of life.